Second post in a row featuring animal print, this time in red and blue. Dear readers, meet my new favourite dress from ASOS. Those of you also experiencing that beautiful and rare feeling of love-at-first-sight, you may continue your romance here. I wore this outfit to attend the opening of McArthurGlen's Vintage Festival last month. Posting about it now as an opportunity to remind you that this weekend is your last chance to visit the pop-up vintage boutique. And yes, it will be open Sunday too. 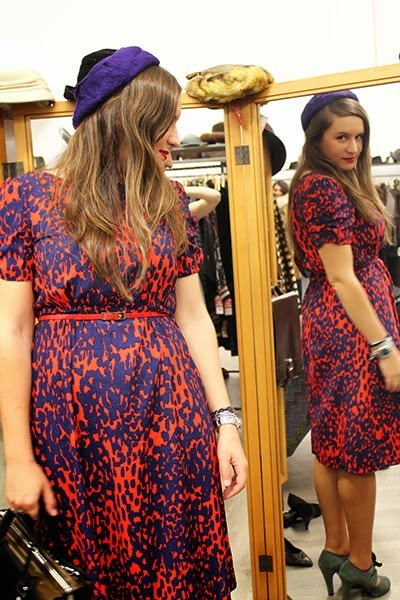 Red and navy animal print dress, ASOS. Grey heels, MALOLES. Black and olive green handbag, ZARA. 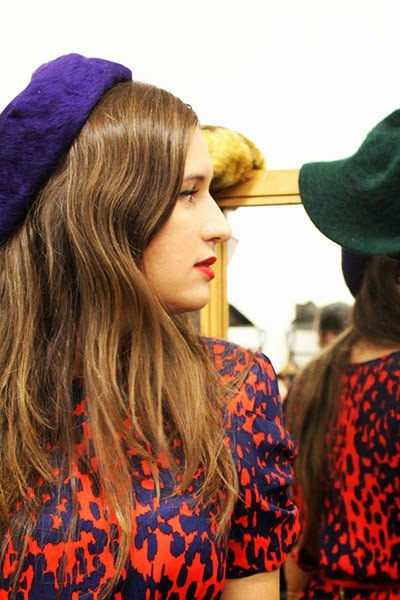 Blue beret, borrowed from McArthurGlen Vintage Festival. that looks sooooo good on you!